The highlight of the letter about "Garry Kasparov's statement directed against holding the World Chess Olympiad 2018 in Georgia" distorts my position regarding this matter, while the text following is of a propagandistic character and sounds much like the echo of the long passed epoch 'when we were young and used to become champions'. Of course I remember very well my long-lasting friendly relations with the Georgian chess players, but both sides benefited from that, while the letter creates an illusion that I owe my whole chess career to Georgia only. Recently I "only" supported Cape Town's bid for holding Olympiad 2018. The reasons for that are considerable. Every Olympiad is of great world importance. Never has any location further than Europe hosted the Olympiad after Manila 1992, and never has it been held on the African continent! Moreover, the Olympiad in Cape Town would be timed with the celebrations dedicated to Nelson Mandela's 100th anniversary. That is the holiday not just for South Africa but to the African continent at whole. Do you, my esteemed colleagues, have any principle objections towards this bid? I would like to remind you that the Olympiad 2016 will be held in Baku. 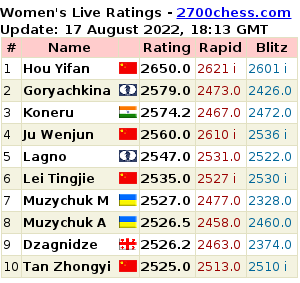 Would you consider holding two Olympiads in a row in Transcaucasia fair enough for the chess world? Now FIDE unites 181 countries and we should be popularizing chess all over the world. If I will become FIDE president that's what I will be doing relentlessly, which would be fulfilling our slogan "Gens una sumus" at full. That's why, despite all due respect to the Georgian state program of chess development, I would propose my old friends to bid for the Oltmpiad 2020. Let's put aside this debate on the venue for a moment and let's talk of the future of chess. I would like to ask you, dear Nona and Maia, the questions that worry me. Do you know that the Georgian Chess Federation supports Mr. Ilyumzhinov's candidacy vehemently? 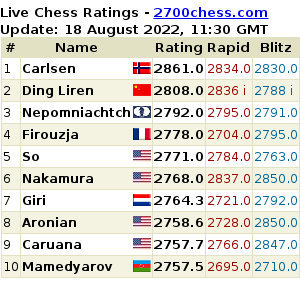 Do you also think that Ilyumzhinov is that blessing for chess and Kasparov not? In other words, do you personally also support him? It's important for me to know your opinion. My stand on this matter is very well known: Ilyumzhinov's 19 years of reign brought chess to the brick of disaster. We got the situation when without attracking powerful sponsors and implementing fundamental changes, chess will perish. You are very well aware of my plan for developing chess and of the efforts I put into realizing it. What are you going to say now?